Having directed 20 plays over the course of his 24 years teaching at CSUSB, Provenzano has been wanting to direct this particular play for quite some time. Due to difficulties with obtaining the rights to the script of a pre-existing London production of Frankenstein, he decided he would write his own take on the iconic story. “It’s adapted from [Mary Shelley’s] book, but it’s not just the story. It’s also a pre-story that explores the events that led her to write ‘Frankenstein’ in the first place,” Provenzano said. “What I didn’t know when I started writing the script was that this is actually the 200th anniversary of when the book was first released, so it’s definitely the right time to put on this play,” Provenzano said. “[The script] is more in keeping with the style of the literature certainly than with most movies that people would’ve seen about Frankenstein. I would say that 80 percent of the dialogue is either from the book or from quotations of famous people from that period,” Provenzano said. “Students who go through this particular theatre program may not want to be actors, but usually what they do is they learn about other technical aspects, have a love for this kind of profession and they end up working in that field, which is very lucrative,” Provenzano said. 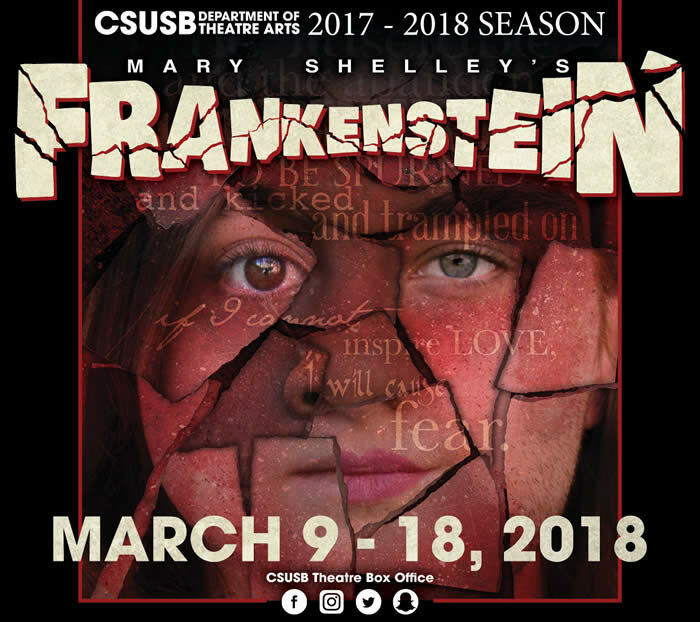 Tickets to “Frankenstein” can be purchased online at the CSUSB theatre website one month before opening night. General admission is $15, while CSUSB students and children aged five to 17 get in for $6. Senior adults aged 55 or older, scholarship donors, active military personnel, university faculty and staff and members of the CSUSB Alumni Association also receive a discount of $12.